This week we are delivering BS EN 1591-4:2013 joint integrity training and assessment to Tata Steel mechanical apprentices at the very impressive training facility at Port Talbot works. 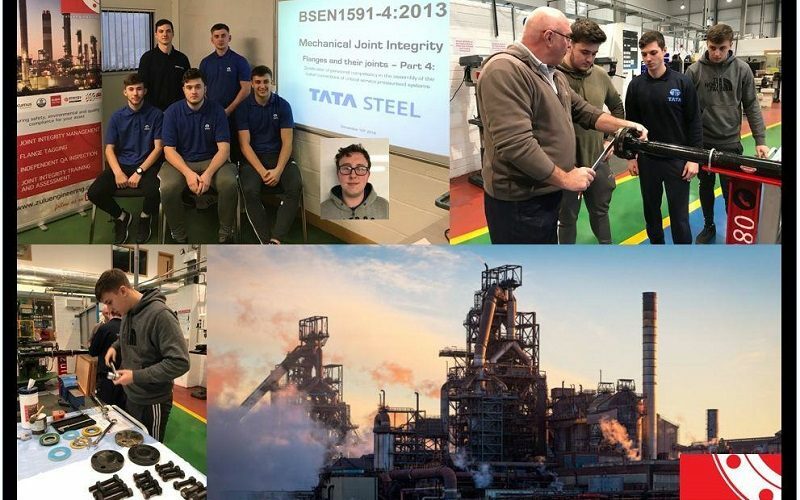 This training and assessment forms part of Tata Steel’s commitment in ensuring that its future mechanical personnel have the underpinning knowledge and skill set to undertake mechanical operations in a manner that complies with industry guidelines, best practice and legislative compliance. We are impressed with the aptitude and enthusiasm of today’s training candidates and we are looking forward to continuing with course delivery throughout the week.